In this Duffer-cap of episode seven, “The Lost Sister,” the Duffer brothers discuss their reasons for doing this polarizing stand-alone episode, the fact that Kali was originally conceived as a male character, and whether or not Dr. Martin Brenner really is still alive. Matt Duffer: This episode was always locked in at [chapter] seven. I don’t know why. It was always that we were going to have this climax at the lab with the dogs coming out of the hall, and we thought it would either be cool or really annoying to step away for an episode. We wanted to try to do a stand-alone episode, basically. Eleven is not in six, and not in much of eight, so the idea was to give her her own little mini-movie. It was sort of like a pilot, but there was no intention to do a spinoff or anything. But it does feel like that. It’s a totally different show embedded within the show. Because we wanted Eleven to have her own journey and have this journey of self-discovery or whatever, that’s why we did it. When we got to the point of writing the episode, we wanted to see if we really needed it or not. We actually did toy with pulling the episode completely, but then the ending with Eleven didn’t work at all. It just didn’t land at all. Then we ended up deciding we needed it. Eleven is trying to figure out where she belongs in this world. She doesn’t belong with the boys because she can’t exist with them without putting them in danger. Her existence with Hopper, which seemed promising at first — this is a guy she believed would protect her and help her find her way back in the world — is seemingly failing. She’s really at a loss. She goes to her mother, but she’s not there, basically. So that’s not a home for her. Basically, it’s her looking for a home. Ross Duffer: But the idea is, if she’s going to do this and we’re going to do this episode, she needs to learn something that allows her to succeed at the end. 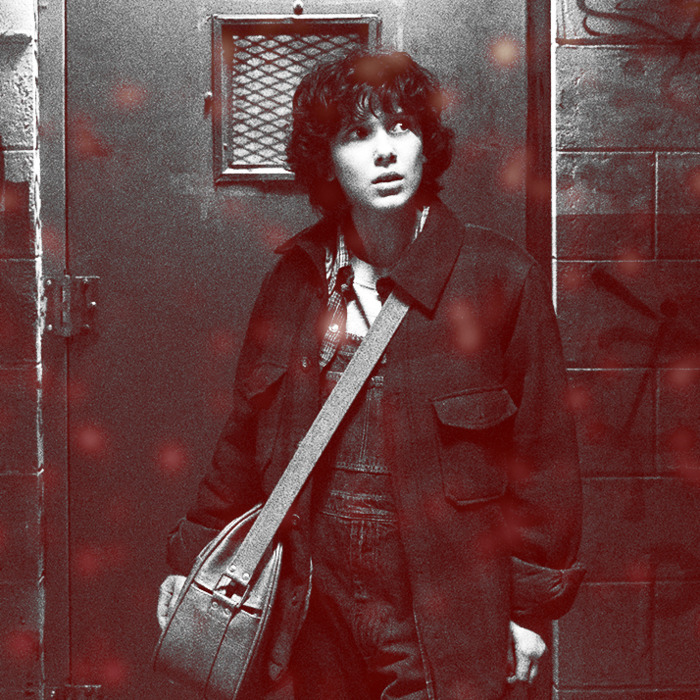 We wanted a lot of the season to be about the trauma and pain these people have suffered from, and actually about confronting that pain in order to heal the wounds, which takes the shape of this giant and continuing-to-grow rift between our world and the Upside Down. Matt: I like bringing in people, like Andrew [Stanton], who are very established, and you also want to give new talent a shot. [Rebecca] made this independent film called Electrick Children, which was about this girl who escaped this oppressive Mormon community and went to Las Vegas. It was very weirdly similar to the plot we were planning for seven. That felt like a good fit. That’s how she got involved. Matt: That was really subtle, right? We went through so many songs, and we finally — “It’s gotta be this. It’s gotta be ‘Runaway.’” I heard that song so many times [during the editing process]. We didn’t have a lot of footage of the downtown sequence, so it took forever to get that to work. I got so sick of that song. I cannot listen to it anymore. I’ve grown to dislike it. Matt: The first movie I fell in love with was Tim Burton’s Batman, which isn’t Chicago, obviously, it’s Gotham. But Gotham is based [in part] on Chicago. Obviously, Batman is verging on ’90s, but it’s still very ’80s to me. You’ve got steam coming out of the ground, and you’ve got dirty homeless people shouting at the camera in trench coats. It was a very specific feeling that I wanted to evoke, so really that’s ultimately why I chose it. I have no connection to Chicago. We’re from North Carolina. We’re from the South. I’m as far from a city boy as you can get. Ross: I think that’s one of the reasons we wanted to do [the episode]. It allows you to play with the tones that we never would’ve been able to explore within Hawkins. Matt: It’s the urban films of the ’70s and ’80s, really. The idea was, “Okay, this gives us an excuse to play in that sandbox for a little bit.” There’s a little bit of Terminator, the original one specifically, in there, which was such a grungy, urban sci-fi film. Matt: It was a huge casting search. We put out, like a year or so ago, a teaser with what we thought might be chapter titles, and one of them was “The Lost Brother,” because it was supposed to be a brother. We were like, “What about a guy with these powers?” We were looking at guys and they were mostly in their 30s, and nothing seemed that interesting to us. Will Kali Appear in Future Episodes? Matt: I don’t know. That’s something we’re figuring out. It feels a little bit like a loose end if we don’t. If Eleven feels the need to seek her out, she can. It’s definitely something that’s a little bit open-ended that we could or could not revisit. Ross: Always the challenging thing — what we found with season two was that we wanted to introduce all these new people and we were excited about it, and explaining the world, but you also want time to be able to spend with your core characters that you’ve grown up with. You want to go into Lucas’s house so you can meet his amazing sister. Eight hours, when you have this many characters, it’s not a ton of time. That’s what we’re figuring out now as we move into season three: Who do we want to bring into this world and focus on? Matt: If anything, we want to streamline the show. We don’t want it to get too unwieldy. Ray Says Dr. Brenner is Still Alive. Is He? Matt: It depends on whether you trust that guy or not. Is he saying that just to save his life, or is that true? He seems to be telling the truth. You don’t see [Brenner] die, so we don’t know. The monster jumps on him, but beyond that, we don’t see anything. The Demogorgon pounces on him, and it pulls him offscreen, and that’s the end of it. It’s not a very definitive death. A lot of people were like, “That’s a really disappointing death.” I would say it’s purposely ambiguous. Matt: I was excited for the first time we used a genuine John Carpenter score. There’s a score in there over a couple of scenes that’s from Escape From New York. That’s real John Carpenter, so that was fun.